Positive psychology is a scientific study that focuses on the strengths and characteristics that allow individuals to succeed and prosper. Over the past several years, the field of positive psychology has gained enormous popularity in academia, as well as within the general public. Although positive psychology concentrates on the healthy traits of the mind, it in no way dismisses other fields of psychology, such as healing pathology, nor does it imply other fields of psychology should be discarded or replaced. In addition, a positive psychologist may even start his or her own private practice as a writer, career or life coach, motivational speaker, or become the founder of a non-profit agency. They may find employment in law offices, instructing corporate leaders on positive workplace strategies, or work as a consultant for the military. Because positive psychology is a fairly new field, the foundation is just now being laid for expansion into many other niche areas. The tenet behind positive psychology is to foster the very best in all individuals so they can lead happy and satisfying lives. To substantiate this view, positive psychologists nurture and cultivate a positive attitude in their patients, build communities that support healthy lifestyles for all people, and create productive work and home environments. 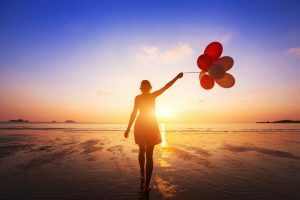 While many individuals entering the field of positive psychology have a general understanding of the skills and abilities necessary to thrive in this profession, there are a variety of educational and licensing requirements needed to become a positive psychologist and achieve long-term career success. Most students wishing to pursue a degree in positive psychology earn a bachelor’s degree in general psychology. There are, however, a few colleges and universities that have just recently started offering bachelor degree programs or concentrations in positive psychology. But, career opportunities at the bachelor degree level are limited, and most aspiring psychologists, no matter the specialty, will go on to earn an advanced degree. As an alternative to earning a bachelor’s degree, students may choose to enter an online or on-campus certificate program, or enroll in a business school that offers classes in positive psychology or human resources. Many undergraduate certificate programs require a minimum or 12-credit hours of coursework that focuses on applying positive psychology to human behavior. It’s important to note that many of these courses are not accredited and therefore will not meet the requirements for acceptance into a doctoral program. After obtaining an undergraduate degree, students will advance to earn their master’s degree. Most programs at the master’s level require students to take part in internships, practicums, and/or supervised training, as well as submit a written thesis or dissertation. For a positive psychologist to be qualified for most occupations in this field, and/or start a private practice, he or she must earn a doctoral degree. Most PhD or PsyD programs take anywhere between five and seven years to complete. At this level, psychologists can choose a positive psychology concentration within general psychology, counseling, or educational programs. That said, as the field of positive psychology continues to gain recognition within the field of academia, many new master’s and doctoral programs in positive psychology have been created. One of the best known programs is at the Positive Psychology Center on the University of Pennsylvania campus, where students earn a master’s degree in applied positive psychology (MAPP), then go on to earn their clinical PhD degree, after which they can teach, conduct research, or open private psychotherapy practices. The psychology job market is increasingly competitive. As such, many individuals are seeking postdoctoral positions to help bolster their credentials. Although not required, positive psychologists who have research- or clinical-focused careers usually apply for postdoctoral fellowships. Postdoctoral fellowships generally last one or two years and usually involve grant-funded research at a large university. Alternatively, positive psychology students who wish to work in areas such as healthcare, human resource departments, or in a consulting firm may seek internships or may volunteer in these types of settings. These positions often offer specialized training above what students received in graduate school, and can also help them become stronger job applicants. Workshops and seminars offered by state-approved educational institutions. Seminars, courses and workshops sponsored by the American Psychological Association (APA). Membership in societies and subscribing to industry journals. Any psychologist who wishes to offer patient services, administer tests, provide therapy, or work independently is required to obtain a license and/or certification from the state he or she wishes to practice. Positive psychologists who work as consultants may also need to be licensed in some states. Although there are common components to obtaining licensure in all states, e.g., earning a doctoral degree, passing at least one examination, and completing a certain number of supervised hours is usually required across the board. State certifying boards provide state-specific information for anyone wishing to become licensed, but there can be significant differences between what one state requires verses another state with regard to supervised practice and education requirements. In some cases, individuals may come under board jurisdiction soon after graduation even though obtaining full licensure may take a year or two to attain. As the field of positive psychology is relatively new, there is no specific salary information listed by the US Bureau of Labor Statistics (BLS). However, the BLS does list an annual median salary of $72,580 for all psychologists. Job growth in this far-reaching field is expected to grow by as much as 19-percent between 2014 and 2024, which is much faster than average for all careers. Of course, the salary for a positive psychologist will vary greatly from one job to another, and from one location to another. For instance, those working in research or for a consulting firm may expect to earn more than those working for a non-profit. Geographic location also plays a part in salary differences, as does education. Individuals with an advanced degree can expect to earn more and have additional opportunities for advancement than those individuals with an undergraduate degree. Individuals wishing to teach at the university level, treat patients, or work in private practice must earn a doctorate. One study shows that graduates earning a doctoral degree in psychology can earn nearly 33-percent more than those with a master’s degree. In general, positive psychologist with a bachelor’s or master’s degree can expect a more competitive job market, while positive psychologist with doctorates who choose to work in the private sector can expect greater pay and lower unemployment rates. The field of positive psychology is growing. With increased recognition within academia, and an uptick in public awareness, this concentration has seen more job growth and more educational opportunities than in many other areas of psychology. However, as a little more than 28,000 doctoral degrees in psychology were awarded in 2013 alone, competition can be fierce. Specializing in a specific area within the field of positive psychology, such as a school counselor or consultant for the military, can improve your chances for obtaining a job. Many psychology careers require the same education, skills, and abilities as those of a positive psychologist. This is good to keep in mind when choosing a specialty or concentration within the field of psychology. School Counselor: School counselors help students develop social and academic skills, as well as help with personal matters. Job duties vary, but typically involve solving conflicts between students, interacting with parents and faculty, and providing graduation or career advice. Human Resource Generalist: Human Resource (HR) Specialists are typically responsible for managing a company’s employees, settle disputes, integrate and often train new employees, and may also be responsible for payroll and benefits, They may also be required to ensure companies comply with local, state and national regulations. Life Coach: Positive psychologist may become life coaches. Life coaches partner with their clients – business leaders, musicians, artists, managers, small business owners, professionals and even homemakers – to help them overcome obstacles and make changes in their lives. The career field of coaching has grown a great deal over the past few years and there are many opportunities in a variety of settings. Psychosomatic Medicine: Individuals who practice in the field of psychosomatic medicine focus on the diagnoses and treatment of behavioral disorders in medically ill patients. Studies have shown that a more positive perspective on human functioning can significantly influence the course of physical illness. Health Psychology: Health psychologists are concerned with understanding how behavioral, cultural, and psychological factors contribute to physical health and healthcare. Much of the knowledge gained with a degree in positive psychology can be applied to this field.